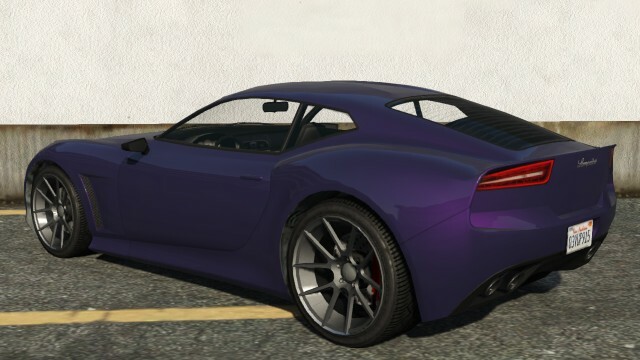 The Furore GT is a modern sports car in GTA 5 manufactured by Lampadati. The Furore GT resemble the Maserati Alfieri concept car, most evident in its front bumper, grille, headlights, and overall body style. The front fascia layout also resembles the Maserati GranTurismo MC Corse (which is similar to the Ocelot F620,but the F620 has a resin grille while the Furore GT has a mesh grille) but having the headlamps similar to the Subaru BRZ and Toyota 86. The side panels are influenced by the Lexus LF-A while the rear has its area mixed with certain cars such as the Toyota FT-1 and SRT Viper GTS for the tailights. The Lampadati Furore GT is powered by a V8 Engine, which is capable of powering the vehicle up to very impressive top speeds. Handling is excellent, as the vehicle is able to execute sharp turns without much oversteer, and the car responds well to slight moves to the steering wheel. While it is prone to fishtailing at high speeds, it’s still easy to get the car in control. The Acceleration is good, however, and it is not as quick off the line as other cars in Sports class. 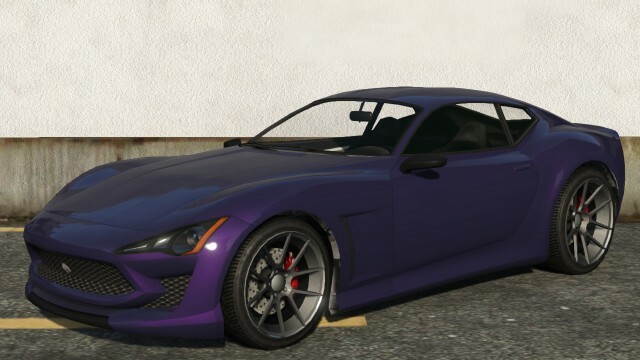 Therefore, the Furore GT gets highly benefited by the Los Santos Customs upgrades in acceleration. Unfortunately, The Furore GT doesn’t have any visual modification options at Los Santos Customs, only the standard performance upgrades and the usual upgrades for window tints and wheels. In GTA 5, The Furore GT‘s engine sound is identical to that of the Monroe. The Furore GT can be selected from the protagonists’ garages in GTA 5 Story Mode. Can be purchased from Legendary Motorsport Website (legendarumotorsport.net) for $448,000 in Grand Theft Auto Online.